Over the next few weeks I'd like to devote some time to amateur photographers. 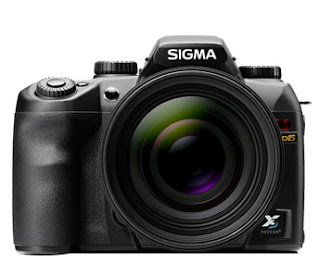 As of late, there has been an increased interest in the purchase of SLR cameras. A decade or so ago they were used solely by professionals, students, and serious hobbyists. But today, we all know someone with little-to-no photography knowledge desiring the quality of a digital SLR. We may as well give them some advice before they purchase and we sincerely hope that the occasional photographer turns into a more serious hobbyist! So what the heck is an SLR? It stands for digital single lens reflex because these cameras use a mirror behind the lens to direct light towards the viewfinder. As the shutter is released, the mirror moves out of the way, allowing light to travel to the sensor and briefly blacking out the viewfinder. A prism inside the viewfinder flips the image right side up and bounces it onto the screen. All SLR cameras are not created equal, however. There are several types and you should know the difference before investing. The one most people are referring to when speaking of one is a full system digital SLR with an interchangeable lens. Users can remove the lens and replace it with another. Almost all SLRs today are this type. A fixed-lens digital SLR is one in which the lens cannot be removed. Most use a semitransparent, non-moving mirror to bounce some of the light to the viewfinder, while the rest of the light goes through the main sensor. This translates to using the LCD to compose the shot. An SLR-like, or SLR-style, is actually a standard digicam that uses an electronic viewfinder (EVF) instead of the standard pentaprism. They're technically not an SLR because they don't use a mirror and the image quality does not compare. And lastly, we have the interchangeable lens camera, also known as a hybrid camera. They use the technology of a point-and-shoot with the ability to change digital camera lenses. However, they too use an EVF and lack a mirror in the viewfinder.